2017 Was Turbulent for Farmers. Will 2018 Be Better? The last year saw large-scale farmers' protests as remunerative prices fell and the implementation of loan waivers was questionable. 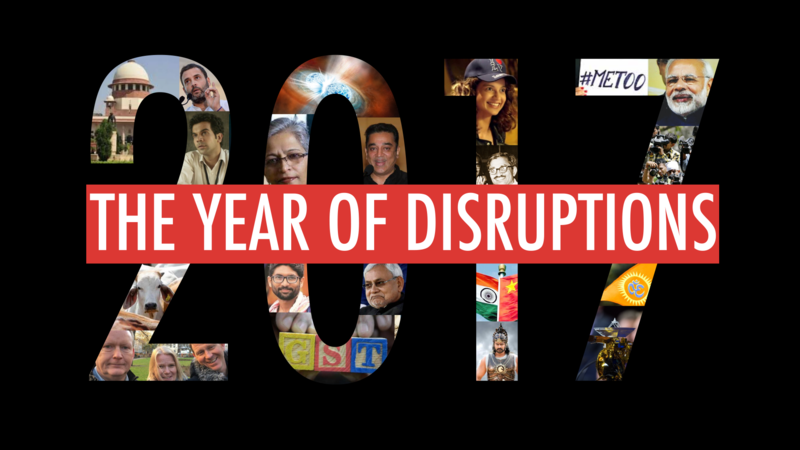 As we bid farewell to 2017, The Wire looks back at some of the markers of disruption that affected different spheres, from politics and economics to technology and films. 2017 was a turbulent year for the agriculture and food sector. The sudden decision to demonetise high-value currency on November 8, 2016, when rabi (wheat) sowing was underway and the kharif (rice) marketing season was on, had an adverse impact on farmers’ income – much of which is in cash transactions. Whether it is the purchase of inputs or the marketing of produce, these crucial activities are largely in the hands of artiyas or intermediaries, who deal in cash. The year saw a fall in remunerative prices of commodities in several states due to a mismatch in demand and supply. Already reeling under a cash crunch, small and marginal farmers did not have money in hand, leading to country-wide unrest and agrarian distress. The slowdown in the farm sector is reflected in the recent officially released lower gross value added (GVA) growth (GDP minus taxes and subsidies on products), at 1.7% in 2017-18 as compared to 4.1% in the second quarter of 2016-17. This is attributed to a 2.8% reduction in foodgrain production during the 2017-18 kharif season. The growth in livestock products, fishery and forestry, however, was estimated at around 3.8% for the same period. While commenting on the overall GVA growth of 6.1% for the country, finance minister Arun Jaitley remarked that the agricultural sector had pulled down the general economic growth rate. Committed as the Narendra Modi government apparently is to doubling farmers’ income by 2022, even altering the name of the agriculture ministry to the Ministry for Agriculture and Farmers’ Welfare, its response was to leave it to the state governments to tackle loan waiver demands and pick up the tab. There are no recent estimates on farmers’ income, but the National Sample Survey Organisation 2014 had found the average monthly income of an agriculture household be Rs 6,426 in 2012. By several accounts, there was no abatement in farmers’ suicides in the last two years, and Maharashtra continues to head the list. The latest figures for 2016 and 2017 are not available, but according to the National Crime Records Bureau, 8,007 farmers committed suicide in 2015 as compared to 5,650 in 2014. This does not include suicides by 4,595 labourers in 2015 as against 6,710 in 2014. The loan waiver trigger was the assembly election in Uttar Pradesh in February this year, when Prime Minister Narendra Modi committed during his campaign to waiving farmers’ loans for a certain category of loaners. The Adityanath government that was formed had to fulfil that promise with a Rs 36,000 crore package which, as it turned out, was initially fraught with gross shortcomings in implementation. In Punjab, which had also gone to the polls in February along with Uttar Pradesh, Congress party’s chief ministerial candidate Amarinder Singh made a similar promise. After coming to power, he set up a committee and much thought was given to how they would implement a waiver, given their limited resources. Finally, a Rs 15,000-crore package was worked out. BJP-Shiv Sena-ruled Maharashtra, which has seen the highest number of farmers’ suicides over the years, also announced a package of Rs 30,000 crore but again, implementation has been tardy. 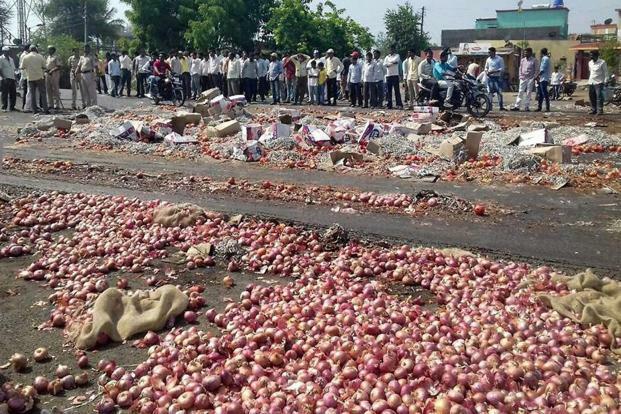 After the mess up in Mandsaur in Madhya Pradesh, where at least five farmers were reported to have been killed during protests, Rajasthan chief minister Vasundhara Raje brought in experts to work out a deal including levying a lower rate of interest on agricultural borrowings. BJP-ruled Madhya Pradesh and Rajasthan go to polls next year and, therefore, have much at stake in resolving farmers’ issues. Bowing to pressure, Madhya Pradesh under Shivraj Singh Chouhan and Haryana under Manohar Lal Khattar decided to pay growers the difference between the minimum support price and the distress sale rate. Already grappling with the dormant Jat reservation issue, the Haryana government has gone a step further and announced a scheme to pay “protected prices” to farmers for perishables including potatoes, onions, cauliflower and tomatoes to prevent distress sales when production is high and prices fall to below input costs. This has been a long-standing demand of farmers’ organisations. The death of farmers in the Mandsaur agitation acted as a catalyst for civil society groups and farmers to unite, leading to a massive show of strength on Parliament Street in New Delhi in November. More than 160 organisations participated and, for the first time, widows of farmers who had committed suicides were visible and vocal. They came from Maharashtra, Andhra Pradesh, Madhya Pradesh, Karnataka and several other states. They sought rights over the land that belonged to their husbands and the waiver of loans taken by them so that they could start life afresh and bring up their children. The farmers highlighted two demands: remunerative prices for their produce including perishables, which were being strewn on the streets if prices fell below input costs; and waiver of loans taken from the banking system including rural banks. There is also demand also for wiping out loans taken from artiyas and village money lenders. The other issue that cropped up during the year was the high pollution levels set off from paddy stubble burning in Punjab, Haryana and western Uttar Pradesh which engulfed cities like New Delhi in a poisonous haze. In fact, India faced an embarrassing situation when the visiting Sri Lankan team refused to play the third test at the Ferozeshah Kotla grounds citing hazardous smog as a spoiler. This issue was left unaddressed for a long time because of the the tussle between the Centre and states on who would invest in modern equipment that would shred the straw and mulch it. Some funds were eventually released as the situation assumed alarming proportions. The year also saw deaths of 21 farmers from inhaling poisonous pesticide used for controlling pest attacks on cotton crops. As many as 2,000 farmers fell critically ill in Vidarbha and Marathwada regions, prompting civil society organisations to seek a blanket ban on the use of chemical pesticides in favour of herbal-based pesticides. The hunger-related death of 11-year-old Santoshi Kumari from Jharkhand’s Simdega district was a grim reminder that malnutrition and starvation are still a reality in the country. Similar deaths were reported from Uttar Pradesh and Karnataka, though the local administration tried to pass the buck. That the girl should have died not only from the lack of food but also due to the apathy of the local administration and the pressing need for the government to put a cap on the number of beneficiaries who can avail subsidised food under the public distribution system is a shame. Linking Aadhaar to welfare benefits has become a nightmare for people who lack clout or are at the lowest rung of the economic ladder and prone to be missed out. It is also a reminder of the huge disconnect between India’s high levels of growth and its low ranking on human development. The Global Hunger Index 2017 report brought out by the International Food Policy Research Institute places India at the 100th position amongst 119 developing countries. The index is based on a combination of calorie undernourishment (percentage of population below the recommended nutritional intake) and child wasting, stunting and being underweight. However, to be fair to the Modi government, these problems are not of its making. It has inherited many of them, including the ceiling on the number of beneficiaries under the National Food Security Act of 2014, the linking of Aadhaar to government benefits and the direct benefit transfer system for sending remunerations directly to the banks. It is for these reasons that civil society groups have been fighting for a universal PDS, but international commitments under the World Trade Organisation, such as the public stockholding limit oat 10% of total production, are a harsh reality. India did take a stand at the recently-held 11th WTO Ministerial at Buenos Aires, but the battle is far from over. Other issues like the commercialisation of genetically-modified mustard remained in a limbo, with the government dithering on its stand in the face of opposition from civil society groups and RSS-affiliated bodies like the Swadeshi Jagran Manch. Finally, as the year came to a close, the Parliamentary Standing Committee on Science and Technology, Environment and Forests recommended in its report said that no GM crop, including GM mustard, should be introduced in the country unless its bio-safety and socio-economic desirability was examined by a “participatory, independent and transparent” process. On the GM mustard crop, the committee ticked off the Genetic Engineering Approval Committee, saying that it had approved commercialisation despite the matter pending in the Supreme Court. The panel, chaired by Congress member Anand Sharma, raised “serious unanswered questions” on GM mustard. This nails the issue for now. Where does the Modi government stand on its decision to double farmers’ income by 2022, when India celebrates 75 years of independence? While the Pradhan Mantri Krishi Sinchai Yojna, Fasal Bima Yojna, national e-market, soil card health and so many other schemes in related areas are moving ahead gingerly, the government this year set up an inter-ministerial committee of bureaucrats to come up with a strategy for the 2022 goal. The Indian Council of Agriculture Research has also been asked to prepare a strategy on how to double farmers’ income within the time frame. Besides, state governments have been asked to chip in with their inputs and evolve a strategy. But does this reflect a disconnect with farmers on the ground? Seeing that the cotton growers of Saurashtra turned out to be the Achilles’ heel of the BJP in the recently-held Gujarat elections, it does look like that. The year 2022 is far away. First, the Modi government will have to clear the hurdle of general elections in 2019 and for that, farmers’ issues will have to be addressed urgently and decisively at the national level. Gargi Parsai is a senior journalist. She can be contacted on gargiparsai@yahoo.com.